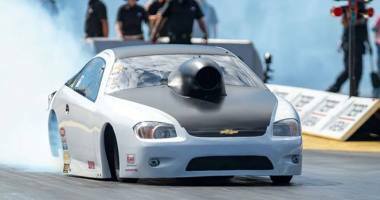 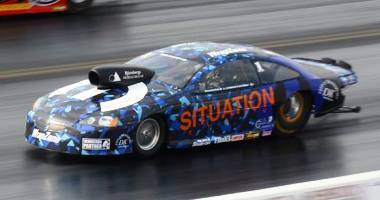 Often called “factory hot rods” because of their resemblance to production-based automobiles, Pro Stock cars are some of the most technologically advanced machines in drag racing. 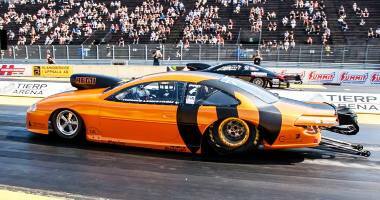 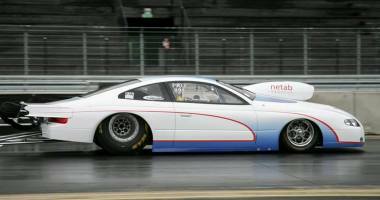 Built around a sophisticated tube chassis and four-link rear suspension, Pro Stock cars must conform to precise measurements and weigh no less than 1066 kilograms (2,350 pounds). 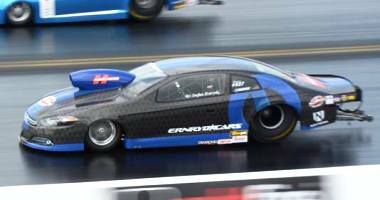 Pro Stock engines use two carburetors and spec gasoline and are restricted to a maximum of 500 cubic inches. 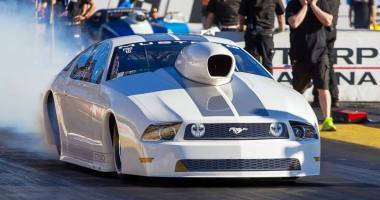 They can rev to more than 10 500 rpm and make in excess of 1 300 horsepower. 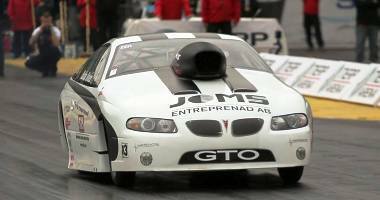 A competitive Pro Stock car can run in the 6.5 s at more than 340 km/h.